ANN ARBOR, Mich. (AP) — Michigan assistant basketball coach Saddi Washington says coach John Beilein is doing well in his recovery from a double-bypass heart procedure. Washington didn’t give too many details about Beilein before Thursday’s practice. Washington is serving as interim coach for the time being. 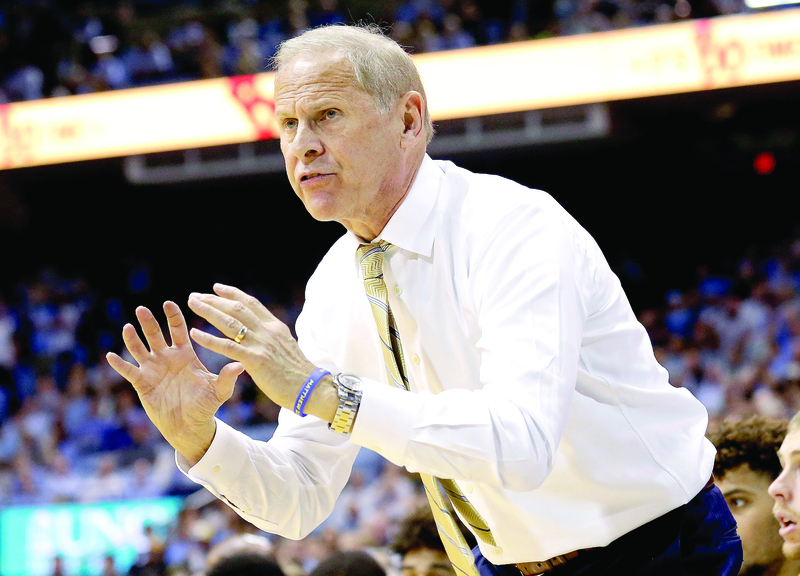 Beilein’s operation took place Monday at the University of Michigan’s Samuel and Jean Frankel Cardiovascular Center. He’s expected to make a full recovery. “Shoot, he might walk in here now,” Washington joked. The Wolverines have a trip to Spain coming up from Aug. 17-26, and Beilein won’t be going on that. The 43-year-old Washington is entering his third season as an assistant at Michigan. He says Beilein isn’t a micromanager and gives assistants the chance to make an impact, so being without him for a little while in the offseason may not be a huge deal. Washington said he knew last week that Beilein’s operation was scheduled. Point guard Zavier Simpson, who played a big part in leading the Wolverines to the Final Four last season, said the intensity has been impressive even without Beilein. The team heads overseas soon. Stops are scheduled in Madrid and Barcelona. The Wolverines are scheduled to play three exhibition games on the trip, and there should be plenty of time for sightseeing.